Control is one of the Documents in Baba Yaga: The Temple of the Witch (additional content for Rise of the Tomb Raider). 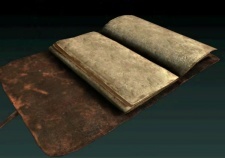 It belongs to the Dreams in the Witch House set, which contains messages from Serafima's journal, after she took the mantle of the witch in the Wicked Vale. This Vale is mine. I have watered the ground and cultivated the dreaming blossoms. No one will enter, no one shall leave. I will not endure the outside world any longer. Here, at last, I am in control. This page was last modified on 21 June 2016, at 01:06.